Graduation is coming and there is one very special young lady who will graduating from high school this year. I have been thinking and planning her quilt for the last two years. 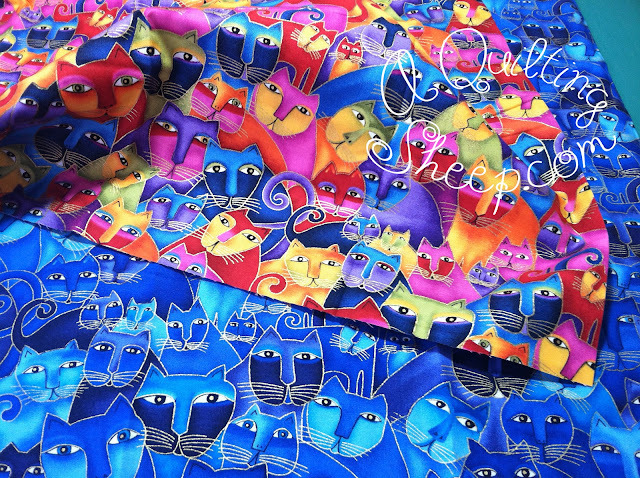 I wanted to make a quilt that was fun and have it include her love of cats. It's hard finding patterns or fabrics that aren't too babyish or too cutesy. I wanted something that was more sophisticated for her to take to college in the fall. Then I found Laurel Burch's fabric line Fabulous Felines. Awesome colors! :) I can't wait to see the finished product. 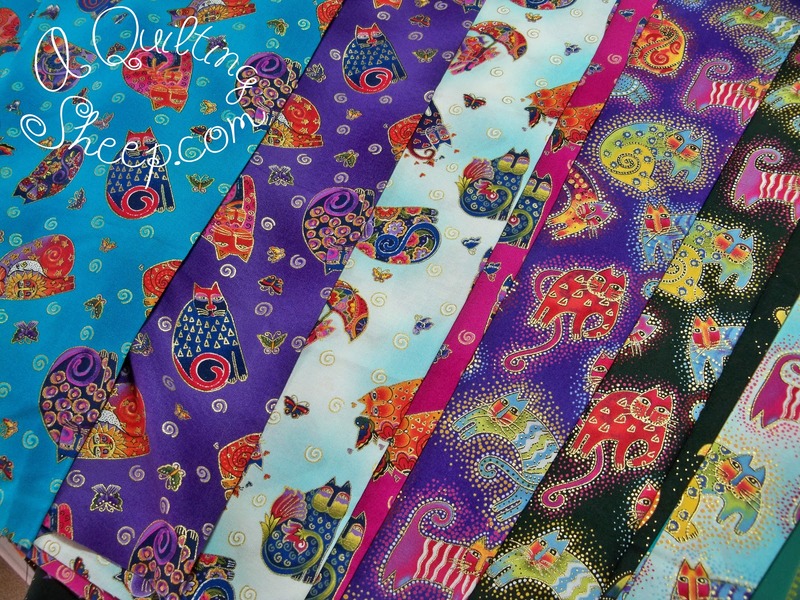 Are you quilting via long arm or regular sewing machine? Totally Cool!! My Photo Grad Quilts are coming along too.....I want to listen to Lion King movie though these days....memories!! That fabric is out of this world!!!! What lovely colors for a young lady, and a great gift it is going to be wonderful. I love all of Laurel Birches fabrics. The colours are just to bright and clean looking in all the fabric lines. I have some of her Christmas fabric saved away waiting for the right project. 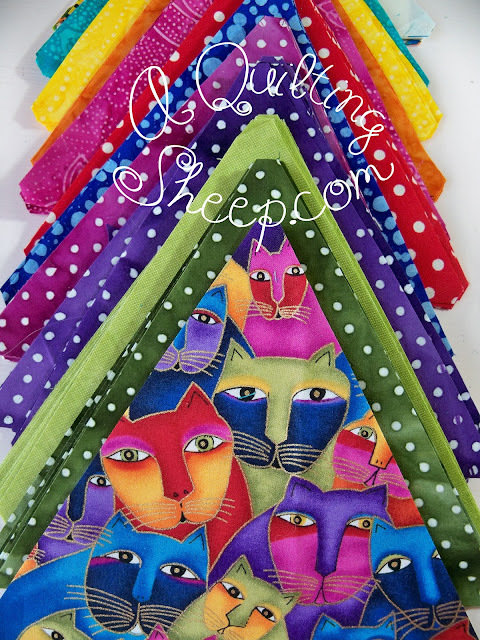 I have made several quilts out of Laurel Burch fabrics, the cats, the butterflies. I still have the fish and the jungle animals. They are timeless! Have fun with it! Thanks, Carla! She made such happy fabric, didn't she?